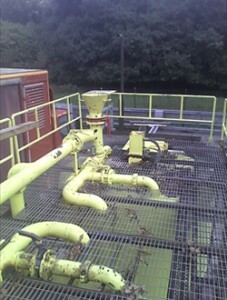 Batch mixers enable the mixing of cement slurries and other fluids and feature two centrifugal pumps for delivering fluid to high-pressure pumps, recirculating cement slurries for mixing in blending tanks, and transferring fluids from remote tanks. 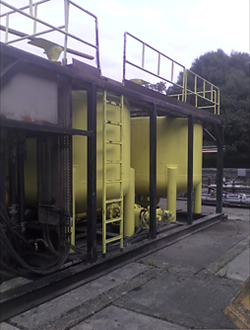 The batch mixers are cable of handling large volumes of cement slurry and significantly reduce fluctuations in cement density. 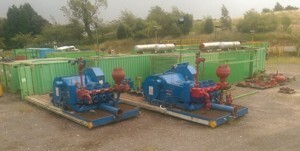 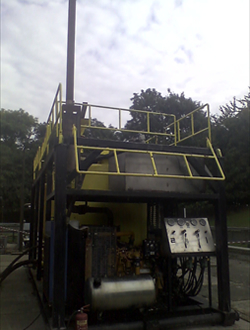 Drilling Services Ltd has 2 x Ideco T-1600 Mud Pumps available for Rental. 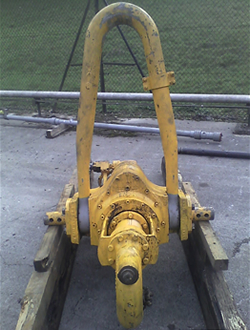 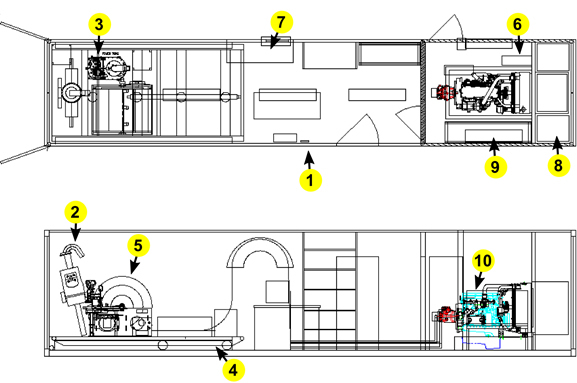 The Power Swivel is a hydraulic rotation device that is hung from the Service Rig elevator and travelling block. 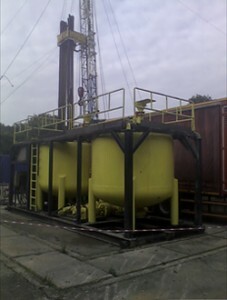 It rotates the downhole tubing and drill bit when drilling is required to modify existing wells. 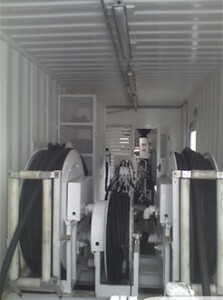 The Power Swivel also provides a passageway for the flow of drilling fluid circulation system that provides lubrication for the drill bit and removes drilling debris from the well.